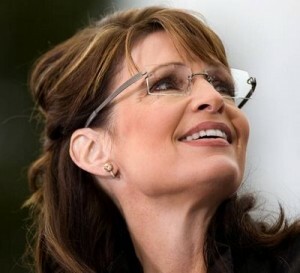 Is Barack Obama Actively Trying To Kill Sarah Palin’s Natural Gas Pipeline? So I get an e-mail from a colleague concerned that Barack Obama may be looking to take credit for Sarah Palin’s signature achievement, the deal she put together with TransCanada and Exxon-Mobil to build a natural; gas pipeline from Alaska to the lower 48 states. The gasline is something Alaskan’s have worked toward for 50 years. Building the pipeline, or at least starting the thing, has been a campaign promise made by pretty much every Gubernatorial candidate for decades. Sarah Palin made the fulfilment of this half a century old dream a centerpiece of her administration. 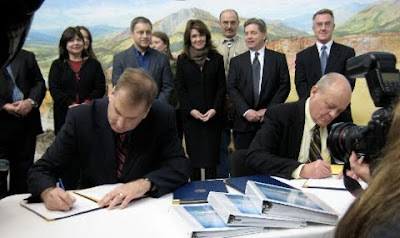 So important was this project to Alaska and Sarah Palin, on her very first day in office she started putting a team together and drafting the plan that would become legislation known as the Alaska Gasline Inducement Act (AGIA) This was very popular legislation with only one legislator, Ralph Samuels voting against it. For more background on AGIA, go here. President Obama plans to boost the effort to develop Alaska’s natural gas resources into the executive office of the White House, according to legislators who visited Washington, D.C., to discuss energy issued with other legislators. Sen. Mark Begich, D-Alaska, recently nominated legislative aide Larry Persily for the Obama appointment as federal coordinator. Persily has support from Sen. Lisa Murkowski, R-Alaska, as well. He is now awaiting confirmation by the Senate, after having been approved by the Senate Energy Committee. Senate Majority Leader Johnny Ellis, D-Anchorage, said a top Obama administration official, former Alaskan Pete Rouse, told Alaska legislators in Washington that Obama would be more than just verbally supporting the Alaska natural gas pipeline. “Mr. Rouse said the president was planning to elevate the Alaska gas line coordinator’s office effort into the executive office of the president once Mr. Persily is in place and is official,” he said. After returning from Washington, Ellis told colleagues on the Senate floor Monday that Persily was likely to win confirmation and be well-placed to give Alaska’s views on the gas pipeline. “I guess the president is quite impressed with Larry Persily,” he said. Persily declined to comment on the possibility of the elevation of the coordinator position. “The White House was pretty clear with me that I should not speculate about what that job may or may not be,” he said. Rep. Berta Gardner, D-Anchorage, said the message she and others received from the Energy Council meetings was that Obama would raise the coordinator’s profile. “They want to boost his position, get him access to an executive committee on energy issues,” she said. The president will be not just coordinating the pipeline project but actively pushing for it, Gardner said. Rep. Craig Johnson, R-Anchorage, said there is a national consensus that Alaska’s natural gas needs to be developed. “There’s no doubt about that; Congress still considers the Alaska pipeline to be in the national interest,” he said. Persily currently works for House Finance Committee Co-chair Mike Hawker, R-Anchorage, but has bipartisan support in the state as well as Washington, D.C.
“I think we’re fortunate to have Larry there. He knows us; he knows our issues. I think he’ll be very good for the state of Alaska,” Johnson said. Persily, a former managing editor of the Juneau Empire, also worked for former Gov. Sarah Palin as an associate director of the state’s Washington, D.C. office. He in the past has served as editorial page editor of the Anchorage Daily News and as a deputy commissioner in the Department of Revenue. He remains president of the board of Juneau’s Wildflower Court. Two competing pipeline efforts are now underway, including the Alaska Pipeline Project, backed by the state under the Alaska Gasline Inducement Act and a joint effort – called Denali – by oil companies ConocoPhillips Co. and BP. The charge of the federal coordinator is to push for a pipeline, but does not give preference to any specific plan. 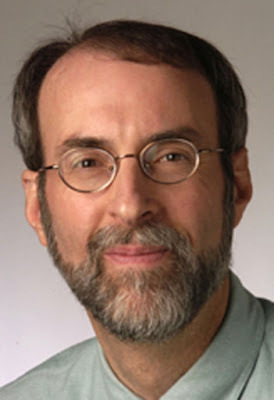 Persily is a journalist by trade having worked at the Anchorage Daily News as the editorial page editor, and the Juneau Empire. Persily has also contributed to the far left hate site, Huffington Post. The same Huffington Post that Alaska Mafia members Shannyn Moore and Jeanne Devon have contributed many a false story about Sarah Palin to. For those that don’t know, Arianna Huffington, the publisher of the far left website, is close to Stewart Resnick, the billionaire owner of Roll Industries, and the guy who at one point was paying to keep dead beat dad Levi Johnston in the spotlight. Resnick’s wife Lynda is godmother to Arianna’s daughter. The Resnicks are huge donors within the democrat party. While Persily has indeed worked for Governor Palin, he has also been a shill for the democrat party. Even though Persily denies it, he has penned multiple attacks on Palin at the Huffington Post. Persily absolutely lost his mind when Sarah Palin took on Obama for “pallin’ around with terrorists,” a shot at Barack Obama’s close friend, domestic terrorist William Ayers, and his convicted felon wife, cop killer Bernardine Dohrn. “She yelled fire in a crowded theater. She really did, in some of her speeches –‘palling around’ with terrorists and some of the other slurs she was hurling in the way of Obama and the Democrats,” said Larry Persily, a former Palin staffer and Alaskan journalist. Now I know that all of this is not enough to prove anything, but there is more. Much more. One of the folks mentioned in this story is “former Alaskan” Pete Rouse. Funny thing, even though Rouse is a total creature of Washington, he still votes absentee in Alaska. There has been some controversy about this, you can read more here. Of course, we don’t care how Pete Rouse votes, or where. What we do care about is the fact that Rouse, who was Barack Obama’s campaign chief-of-staff, and is now a senior White House adviser, is Obama’s point man for all the attacks on Sarah Palin. Although Sarah was cleared of any wrong doing by the personnel board, and members of this kangaroo court were admonished for hiding evidence that cleared Palin, as well as using the wrong statute to go after her, Obama still rewarded Kim Elton with a make-work job at the Department of the Interior. Classic Chicago pay-for-play. Once Obama and Rouse shook off their failed attempt to harm Governor Palin, Rouse, along with Phil Monger and other assorted nerdowells formed what has come to be known as the Alaska Mafia. With White House coordination, a group of bloggers, such as hate peddlers Shannyn Moore and Jeanne Devon were given prominent placement for their hit pieces over at the Huffington Post. The DNC’s “Official Blogger For Alaska” Linda Kellen Biegel, better knows as “Celtic Diva” was also involved in these efforts. One of the projects, besides coordinating with other radical leftist bloggers, who continually fed lies to the media, was the recruitment of folks to continually file false “ethics complaints” against Governor Palin. These shenanigans would eventually cost Governor Palin over a half million dollars personally, and the Alaskan tax payers over $2 million. Speaking of that, there is another close Obama staffer involved here. You remember Anita Dunn, the Mao Tse Tung loving Communications Director for the White House? The one Glenn Beck turned into a national punch line? Well guess what….Dunn is an Alaskan as well! Here’s her connection to this deal. Her husband, Robert Bauer, Obama’s White House counsel, is a partner at the prominent D.C. law firm, Perkins Coie, which also happens to be Obama’s attorney of record. Perkins Coie is the law firm the democrat party generally calls when they need help stealing elections as well. What does this have to do with Sarah, you ask? Well, remember the half million in legal fees Sarah was stuck with as a result of defending herself against the phony complaints? Friends of Sarah started a legal defense fund to help her with these bills. Perfectly legal. Something many a politician has had to do. Well, right on cue, one of the Alaska Mafia members filed a complaint against Sarah for having this fund. Of course, it was nonsense, but that’s how these evil people work. As part of the “investigation” the State of Alaska hired a supposed “independent investigator” by the name of Thomas Daniel. Now there is nothing wrong with investigating things, in fact, no one would want it any other way. The problem is, there was a serious conflict of interest here. You see Mr Daniel has a day job as an attorney at…wait for it….Perkins Coie. Here’s where it comes together. Even though under Alaskan law it is unlawful to discuss ongoing ethics investigations, Thomas Daniel, the so-called “independent investigator” let it leak that Sarah was about to face federal indictment for violations surrounding this legal defense fund. Of course, not only did Daniel, an officer of the court, violate Alaskan law, he was lying. Like all of the other phony ethic complaints filed against Sarah, this one was dismissed as well. It was total BS. In fact, after Mr Daniel’s out and out lie surfaced, the FBI went on record as saying that there were no investigations concerning Governor Palin, never had been, and none were expected. This is something the FBI never does, by the way, but the lie by Mr Daniel, which was then broadcast by Obama’s plants over at the Huffington Post, and then picked up the worldwide media, was so egregious the agency felt they had to respond. Why would Mr Daniel, an officer of the court, do this you ask? Why risk a his entire career? Well, this all went down in August of 2009. In case you don’t remember, this is about the time Sarah wrote her famous “death panels” blog, and totally destroyed Obama’s momentum to enact his unconstitutional take over of America’s health care system. Momentum that Obama has never regained. This was a completely transparent attempt to discredit Palin and her message. Of course like every other attempt Obama has made to hurt Sarah Palin, this failed because the truth quickly came out about Thomas Daniel and all of the tomfoolery going on. Nothing happened to Mr Daniel for his lies or for his discussion of the matter, by the way. No doubt powerful friends of President Obama protected Mr Daniel from any consequences of his malicious conduct. You can learn more about the Alaska Mafia, all of the phony complaints, Pete Rouse, Thomas Daniel, and a whole lot more by clicking here. There was also a great video put together by Naked Emperor News detailing the connections between Obama, Pete Rouse, Phil Monger, and the rest of the Alaska Mafia, including Mafia members in their own words. Jeanne Devon worked overtime fighting to keep this video off of any American video sharing sites like You Tube. Thankfully our friends at Canada Free Press have no qualms about hosting this highly damning video. Watch it here. Look, I want to stress here that at this point, we aren’t really sure what Obama and his crew are up to, but if past is prologue, you can be pretty confident they are up to no good. There is absolutely a reason why this particular fellow, Larry Persily, was chosen. Think about it, why would a “journalist” with ties to a far left hate website, that spreads lies about Sarah Palin on a daily basis be chosen as a “federal energy coordinator” and be given control of her signature achievement? Sarah Palin is one of the most accomplished Governors in the nation. Her list of achievements are great, but the one thing that she really takes great pride in, is her and her administration’s incredible achievement in setting up AGIA and forging the deal with TransCanada and Exxon-Mobil. This is the largest construction project in North American history, and an achievement that any person would take great pride in. This gasline will go a long way towards making America energy independent. We know that Sarah Palin is a force of nature, come campaign season she will be all over the country spreading her message of liberty, freedom, and common sense conservatism. Most people consider Sarah a front runner for the 2012 Republican presidential nomination, and a shoe-in to be the 45th President. What do you think the collapse of one of her signature accomplishments would mean? Persily, who is openly hostile to Sarah Palin, will be in a position to effect the TransCanada deal. This doesn’t pass the smell test at all. We are going to be looking into this a lot further, but for now we are cautioning readers to be on alert, and know that Obama, and his gangster regime are up to something. As usual, the lamestream media has attempted to distort Governor Palin’s statement about her family’s use of Canadian healthcare when she was a child in Skagway, Alaska. They have even attempted to paint her opposition to Obamacare as hypocritical because her parents obtained emergency medical care for their children on two occasions during the 1960’s. Governor Palin’s father, Chuck Heath, has provided additional information (h/tp PalinTV) about the reasons for his family’s use of Canadian healthcare for emergency treatment. Not only was that healthcare not free to American citizens, but as a small child, it was Sarah’s parents’ choice, not hers, to seek emergency medical treatment in Canada. Palin’s father said Monday they had little choice, given their location in Skagway. Palin’s health care history, even when she was a child, is of interest because of her criticism of Obama and other Democrats working on U.S. health care. Palin’s father said his family probably boarded the train for the Whitehorse hospital only twice — once when a daughter had rheumatic fever, and once when his son, also named Chuck, severely burned his leg and an infection set in. “We much preferred to use our facilities because my insurance didn’t cover anything in Whitehorse. 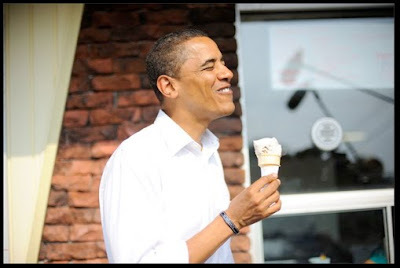 And even though they have socialized medicine, I still had to pay the bill, being an American citizen,” Heath said. Heath worked part-time for the White Pass & Yukon Railroad and had a pass allowing him and his family to ride for free. The train in the 1960s often was the only option for getting to a doctor, Skagway Mayor Tom Cochran said. There’s now a road to Whitehorse about 112 miles away, but people still take advantage of Whitehorse dentists or doctors rather than flying to Alaska’s capital, Juneau, 90 miles to the south. “If you can’t fly to Juneau — and a lot of times you can’t, especially in the winter — they’re going to get you to a medical treatment facility if it’s an emergency, and that’s normally where Whitehorse comes into play,” Cochran said. Cochran has lived in Skagway since 1968 and his family knew the Heaths. His own child needed help a decade ago. Let’s put it very simply: what Kathy Griffin did was wrong. Sarah Palin is a classy, virtuous woman. Kathy Griffin is not – as her recent behavior in Alaska demonstrated. It is morally, ethically (and I suspect) legally wrong to attack the reputation of someone just because you disagree with her politics. Not only was Kathy Griffin’s “joke” a blatant lie, but she had the temerity to leave an invitation on Governor Palin’s doorstep for her to endure this vicious attack. This is outright lunacy on Griffin’s part, and it makes you wonder if America has lost her mind by tolerating such behavior. His remarks about the incident occur at about 3:14 minutes into this video. Ilana Angel writes a blog for The Jewish Journal. Last Tuesday, she unexpectedly met Sarah Palin in Los Angeles at a restaurant and then blogged about it. Excited to meet such a “lovely person” she was happy to share that experience with her readers. However, the responses she got was more than she was bargaining for. As a fellow Jew, I am proud of Ilana Angel for defending Sarah Palin in her blogs. She continues to this day to defend her even though it isn’t the “politically correct” thing to do or popular with her readers. And while she doesn’t agree with Sarah’s politics and will never vote for her, I honor Ilana’s decency and “chutzpah” for standing up to those who responded with such shocking and hateful comments. I entirely agree with Ilana about the hatred issue. To attack anybody personally based solely on their politics (or religion or race, etc..) is ignorant and is an embarrassment to the human race. I have also seen horrible personal attacks on our president, and although I am certainly not a fan and I don’t agree with his politics, I have never condoned this kind of hatred. In my view, the world is one huge family, and it is healthy that our individual views differ, but we should not hate one another for them. We all are unique with varying beliefs and opinions. We don’t have to agree, but we must respect those differences. As one person once wrote on Sarah’s Facebook wall, we are all just one little piece of jigsaw that together make a beautiful puzzle. 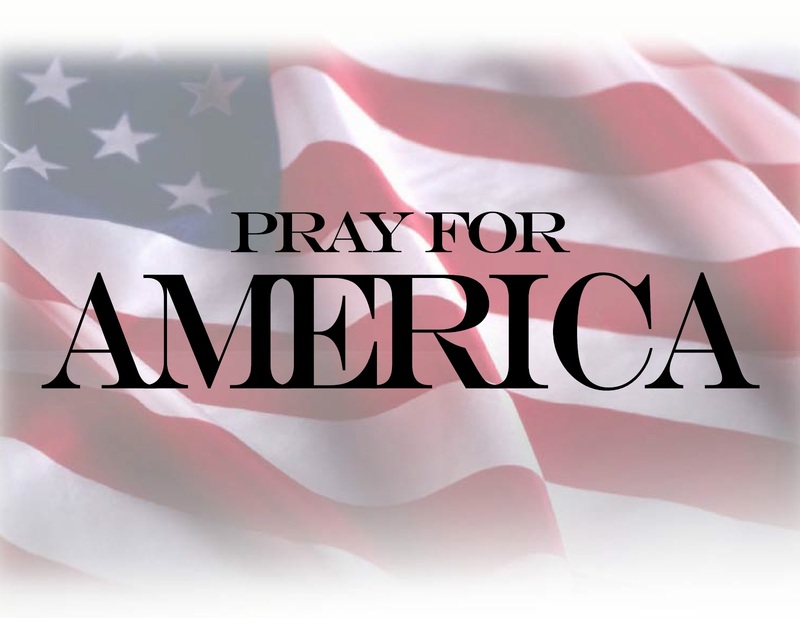 So let’s stop the hatred America before something very terrible happens. We must be decent with one another. Let us speak up, talk back and debate the issues and then vote at the ballot box. But don’t ever, ever hate your fellow human being. So Ilana, keep up the good work and keep on blogging! And although I’m not looking to find Mr. Right, I send my best prayers and wishes that you do!